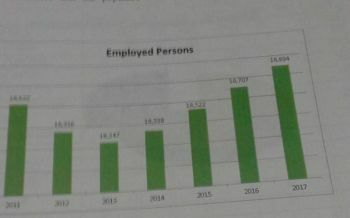 You are here: Virgin Islands News Online » News » Employment dipped in 2012 & 2013 in VI; Were we misled? 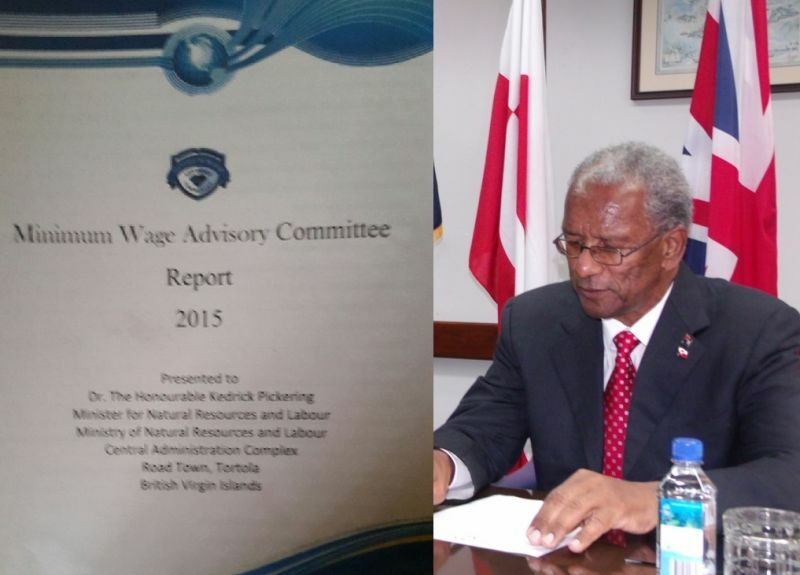 According to the Minimum Wage Advisory Committee Report 2015, which was released to the public on November 2, 2015 by Deputy Premier and Labour Minister Dr The Honourable Kedrick D. Pickering (R7), the Premier’s statement was in direct contradiction with the facts. 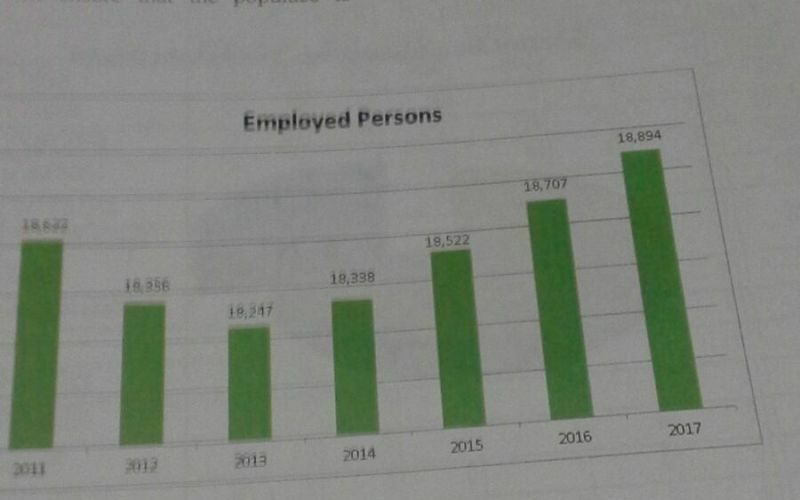 In 2011, the election year, the employment rate was 18,622, according to the statistics in the report. In 2012 it dipped to 18,356 while Premier Smith was saying the economic was robust. According to the report, the territory’s inflation rate has remained stable over the last few years due in part to low rates in the United States of America, the VI’s main supplier of goods. The Minimum Wage Advisory Committee Report said that in 2013 the inflation rate was 1.6%, down from 2.5% and 2.1% in 2011 and 2012 respectively. The highest price increases, according to the Report for 2013, were recorded in the consumer goods and services categories of communications, food, beverage and tobacco, and recreation. The NDP administration has accepted the $6.00 per hour increase recommended in the Minimum Wage Advisory Committee Report. However, to date no amendment to the Labour Code or no regulations have been forthcoming to give effect to the increase. The first one is to remove people who continue to lie to the mass because we would never get true answers to get to the bottom of the real problem in time. If a tall bucket that you have a ladder to look into and I cannot see from the ground I depend on you to tell me how full or empty the bucket is because then I may be able to offer some suggestions on how to start fulling it back. If you tell me the bucket doing good based on what is in front of you. I am down here going happily along. Things happen but it cannot be wilful. In this case it look so. Oops! you forgot to tell me what really happening in the bucket and now we have to scramble to keep it balance so that it don't be up there rocking in the wind and snap to hit me down here on my head for being so naive. The first problem we have to fix is the deliverer of the news. The bucket watcher. You gloom and doomers kill me. Name another country in the Region doing as good as the BVI. Nobody said things are perfect but we need to be thankful things are not worst! The BVI is a very small Territory that is overly dependent and affected by anything that happens in the wider world. Considering all the sh*t over the years with the unstable world economy etc, we should be glad that for the most part people still have fairly decent jobs and Government hasn't had to send home thousands. Why people always taking this man's word for gospel? When immigration clamp down on the unemployed who were given excessive extensions up to a year and they couldnt find work, they marginalized the department leadership. Now this. Time will tell. We all do things and say things to keep our jobs.. We often paint a rosy picture so we csn took good to our foolish bosses..
What is new here NEXT! The absent of truth in the spoken word is bad enough but the absence of a solution to our auditing system of the Territory's finances is even more troubling. Our Constitution requires that three positions in the service be filled at all times to ensure that good governance is maintained. For almost a year the position of Accountant General remains vacant with no attempt to address the problem. For months the Chief Auditor's position and that of the Deputy remain unattended. The Standing Finance Committee no longer functions for obvious reasons. The Question is, What has the Premier done and what is he doing to ensure that there are proper checks and balances in place to identify and protect our finances from corruption which is taking over the Government. Can we afford to place the country's finances in the hands of POW? I think not. Doc. there is more to running a country than travelling to China and London. Saddle up the ride has only just begun and it is a rough ride. other nations went along with it. Quite a few billion dollars left here when the owners put it somewhere else. Stop talking nonsense. Which BVI bank has billions sitting. You all watch too much damn TV. The BVI has companies while the UK, USA and others have the money that's held by these same companies. Stop being puppets and idiots. "Unless I'm in a big position making big money or getting huge Government contracts so I can travel, buy a boat, build a big house on the hill and drive a Benz around town, BVI is in shambles and the economy is bad.."
I heard two man got houses out of the ports project talk that! Who to blame NDP OR VIP? Dr.Smith needs to understand and know how to handle the guilty knowledge that comes with power.